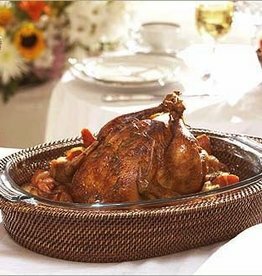 10”x6.75”x2.25”h Our dream is to bring the world products of timeless design, quality and durability. We seek to do this while taking care of the environment and giving back to the communities of the artisans who create them. 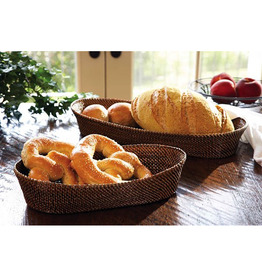 Generously sized, finished woven reed tray comes with white porcelain dip bowl. You'll use this at every party - indoors and out. Also available in square shape. 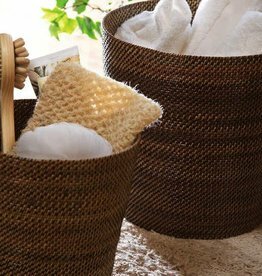 Great casual look for your bath. 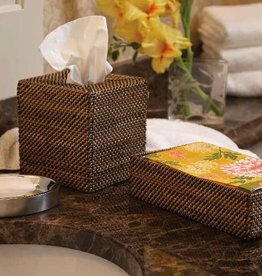 Guest towel holder, waste can, accessory baskets also available. Included with each design is a statement of authenticity attesting to the time it took to create, signed personally by the artisans who created it. 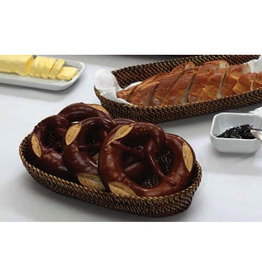 Generously sized, finished coated woven reed tray comes with white porcelain dip bowl. You'll use this at every party - indoors and out. Also available in square shape. Amazing quality with a great finish. 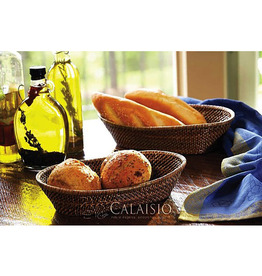 Sturdy and adds a rustic touch to your entertaining. Also available in smaller size. Amazing quality with a great finish. 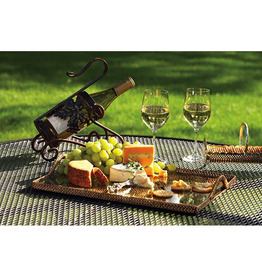 Sturdy and adds a rustic touch to your entertaining. Also available in Large. 19" x 9" x 3"h Quality. Durability. Beauty and function. 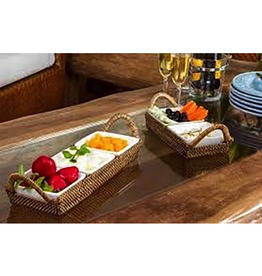 Indoors or out, this beautifully hand made woven reed tray suits your relaxed lifestyle.